Guest Starring: Gavin Townsley of Massively.com! 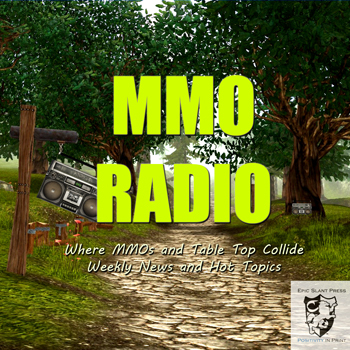 Welcome back to another MMO Radio. We’re proud to present Episode 07 featuring our special guest and close friend, Gavin Townsley. Gavin has been a freelance writer in the games industry for some time and was recently picked up by Massively.com. You might also remember him from our old show, the RIFT Watchers podcast, and the Flex Your Geek website. We take some time to pick his brain about the state of the games press when it seems so embroiled in controversy lately. Taking note of the fact that there are few, if any, major — GW2 level — MMO releases in the future, we share realistic predictions on what the MMOs of the near future will feature. We would also like to thank Green Armadillo for his excellent response to our Episode 5 discussion on the sustainability of F2P versus B2P. Tags: archeage, games journalism, i. MMORPG, mmo radio, path of exile, podcasts, rift, trion worlds, wainright, World of Warcraft, xbox 720 hoax. Hey, Wondering if you can help us with this Giveaway. @Playerauctions is currently running a Path of Exile giveaway. 2 Winners will get $60 each and thought you and your audience might find it interesting.